John F. Wiley Stadium was damaged by a major storm event on December 18, 2016. 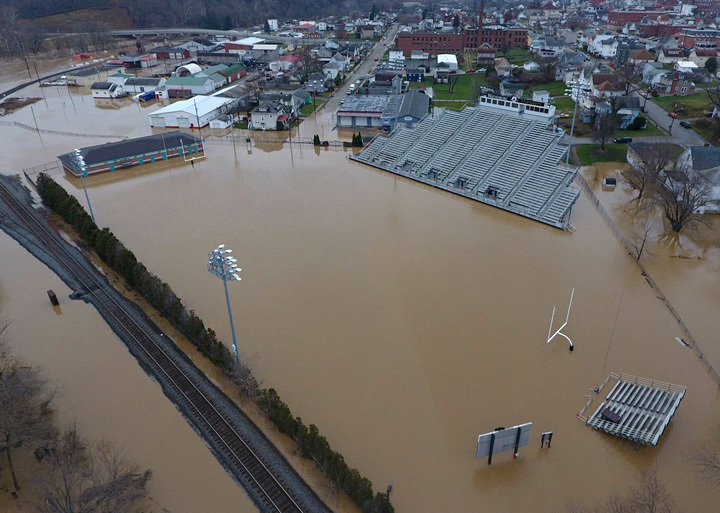 The storm's impact sent flood waters from the adjacent Ten Mile Creek into the stadium, flooding the field and surrounding areas. The standing water reached a depth of 5' over the entire field and persisted for two to three days before receding. 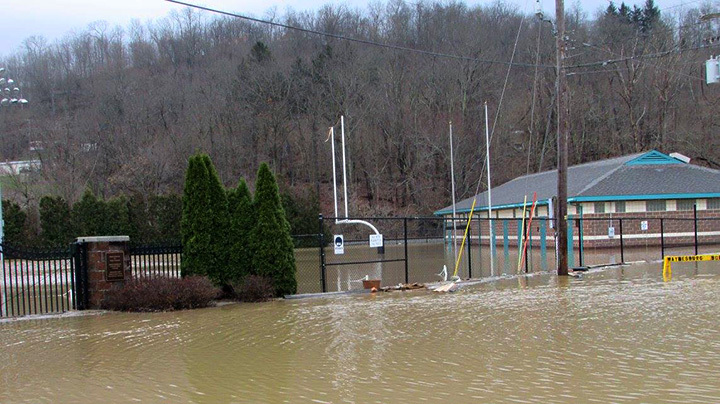 The flood waters contained a high amount of sand and silt which was deposited on the synthetic turf field as the flood waters receded. Huntress Sports evaluated the impact of the silt deposited into the synthetic turf carpet and the damage created by the velocity of the flood waters to the turf and the underlying stone base. Working with the University, insurance adjusters, and in-house staff, we provided cost estimates, specifications and details for the replacement of the synthetic turf field. 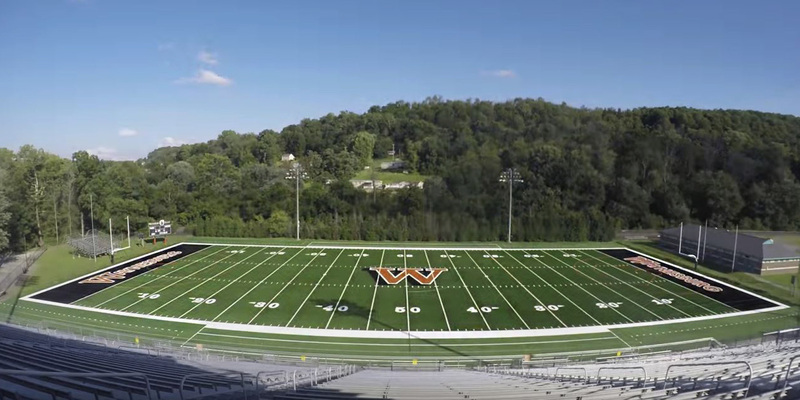 The renovated field was opened in August 2017 with recommended drainage improvements and a new synthetic turf surface.